There is so much I wish I knew before launching my first business. I started out with a ton of passion and a hell of a lot of hustle, but growing a successful business requires more than that–there were so many hard lessons I had to learn that I could only get through trial and error. So many times I wished that there was a quick and easy way to do things, a guide I could follow that would tell me exactly what to do at each step in building my online business. But at that point, there just wasn’t anything like that out there. 3. Create an organic launch strategy that doesn't require thousands in ads and other gimmicks! 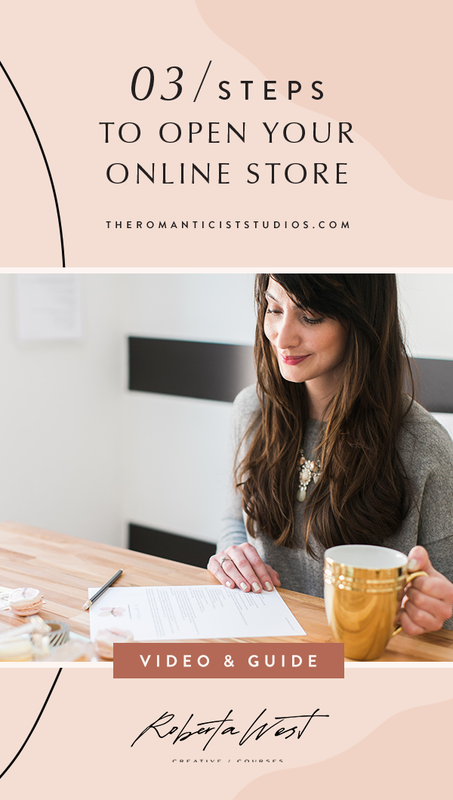 I am sharing the 3 steps you need to open your online shop! Sign up! Starting soon - sign up! This video series is coming really soon so make sure you sign up to get the worksheet. PS: Are you planning to open a shop soon? I wanna hear what is holding you back in the comments below!! PS 2: We are giving away some really cool things like free courses and even a membership to Squarespace!